Okay, I’ll admit it. I love baby showers. Not only do you get to celebrate being a mama-to-be with friends and family, but you also can’t forget about the sweets! They are just too delicious and cute. No matter your baby shower theme, the sweets are always one of the most exciting details to plan. With spring soon arriving, you get to play with so many more bright colors, fun patterns, and lots of florals! 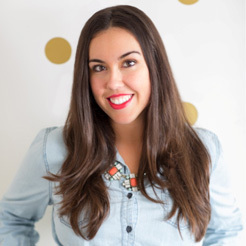 Whether it be a tiered cake, cupcakes, macarons, or cookies, I am so excited to share with you some adorable new ideas for spring baby showers. I hope you love all these treats! Even staring at them is making me drool. 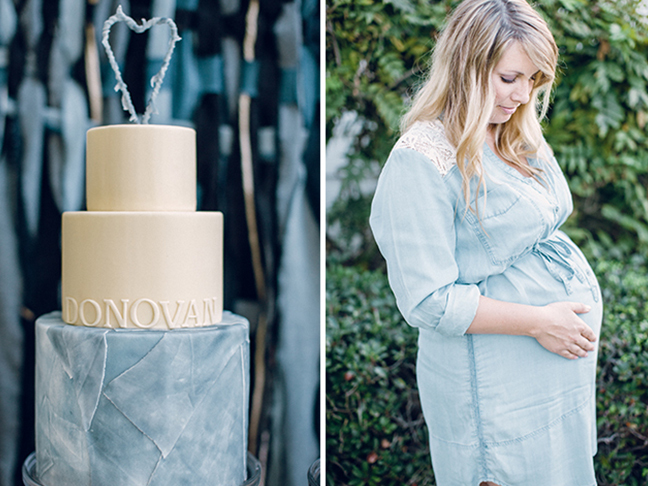 This baby shower was inspired by denim and is so cute for either a boy or a girl! How amazing is the tiered denim-inspired cake? I love the heart topper. See the whole denim inspired shower here. 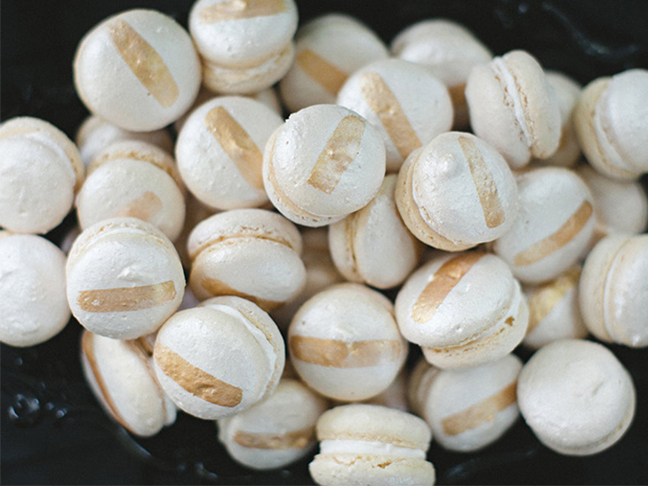 Macarons have definitely been one of the most popular sweets lately. They come in so many great colors, and they are great to serve at a shower because of their size! These ones with a gold detailed stripe are so pretty. See the whole Little Prince Baby Shower here. 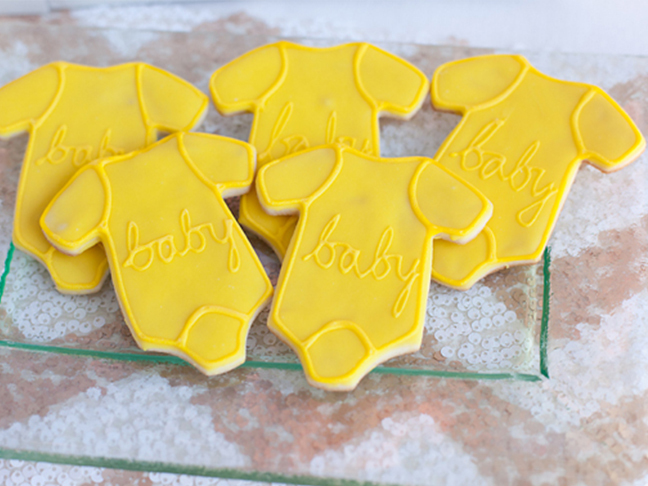 Baby onesie cookies! These are absolutely adorable. Yellow is perfect for spring! Check out the whole feminine and floral baby shower here. This fiesta-inspired shower is so fun. I love how it plays with so much color, and this dessert table is incredible. 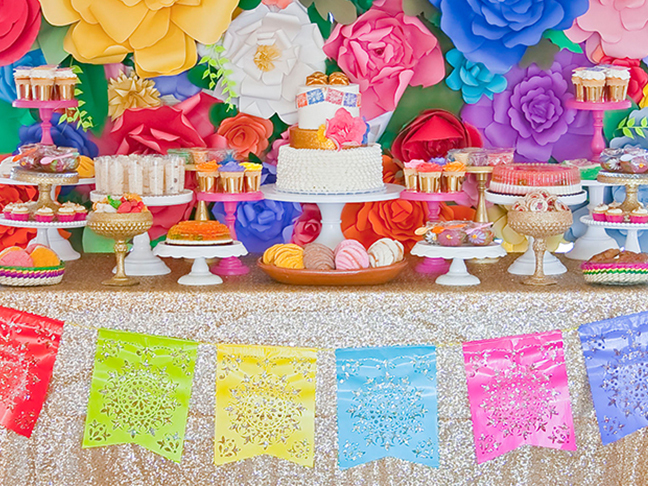 See the whole fiesta baby shower here. So many options! 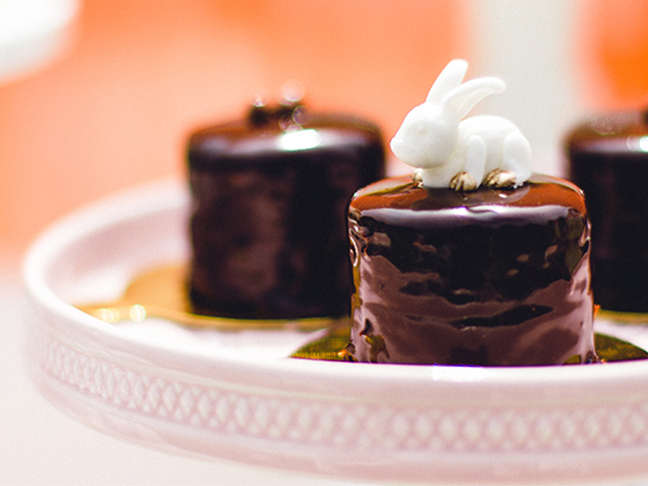 These bunny chocolate mini cakes are perfect for either an Easter inspired or a feminine pink shower. So, so cute! See the whole baby shower here.